Volunteer members of the Sailing Yacht CANADA Restoration Project (SYCRP) built this punt. 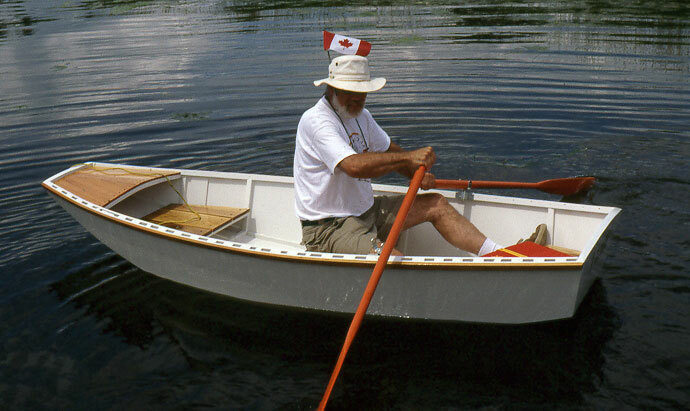 The group built the punt as part of a fundraising effort to restore the CANADA, an 1898, 65' racing cutter. CANADA is one of the oldest existing yachts in Canada. 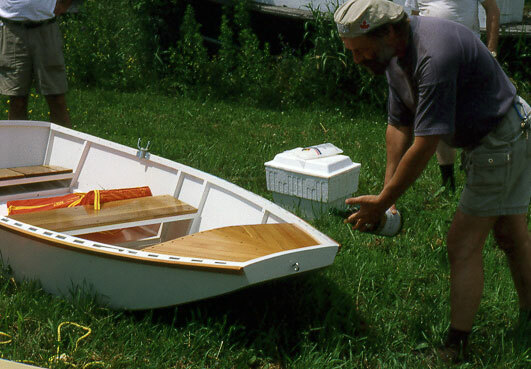 The punt is bronze fastened mahogany marine plywood on frames of white oak. The thwarts and trim are made from butternut. Some of the material in the punt is from the CANADA. 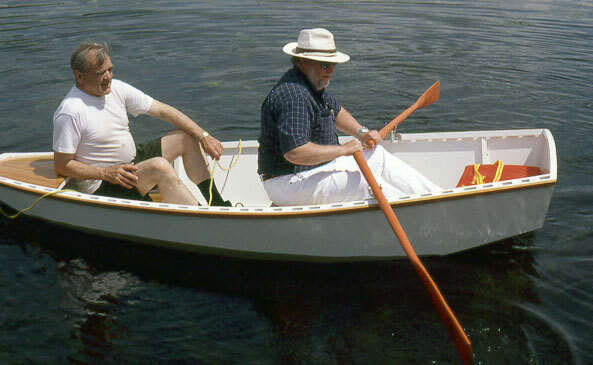 The design is a Claude Worth/Phil Bolger "Auray Punt", with plans from Dynamite Payson.